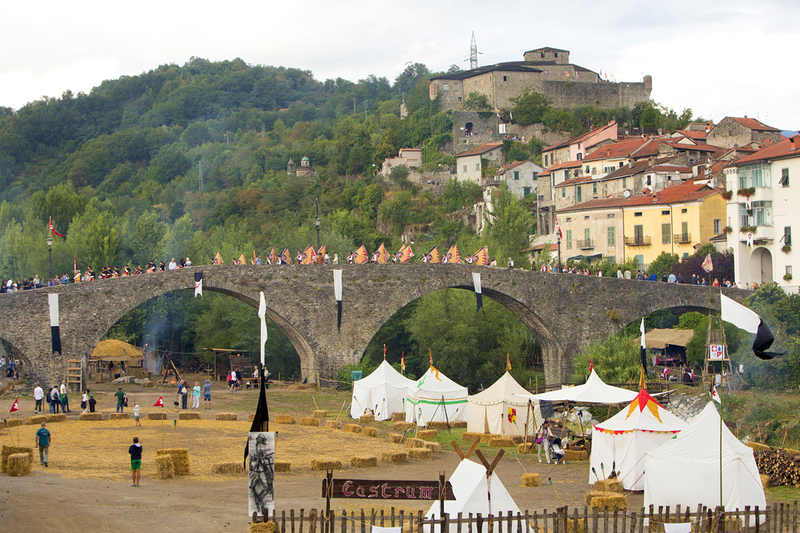 “Duels, mysteries, love and fear at the court of Frederick II” is the slogan of this medieval event held every August in Lunigiana. Indeed, the intent is to commemorate Frederick II’s visit to Pontremoli in 1226 when he declared the town was the “clavis et ianua” (key and door) of communications between Lombardy and Tuscany, thus neatly summing up its importance during the Middle Ages. Frederick also chartered the free municipality, turning Pontremoli into an independent commune, an important milestone for the town. 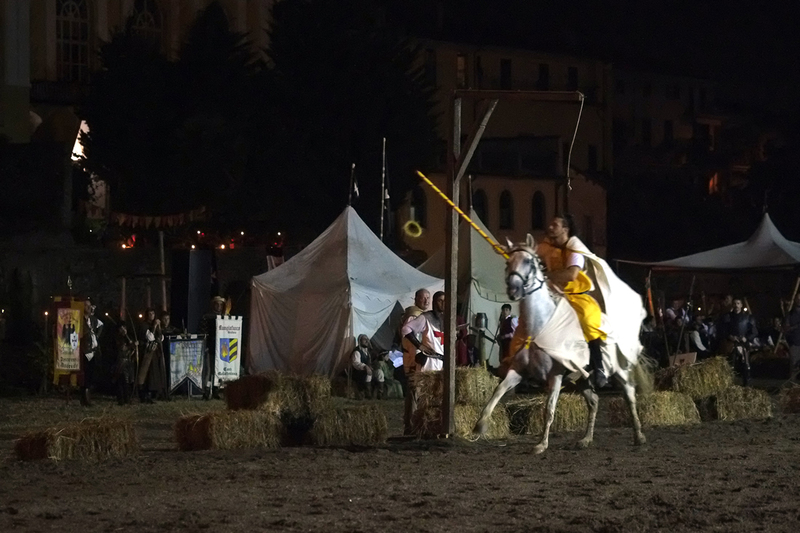 Today Pontremoli celebrates this event transforming itself for four days, during which cars are banished from the old town centre and replaced with horses, carts and knights. 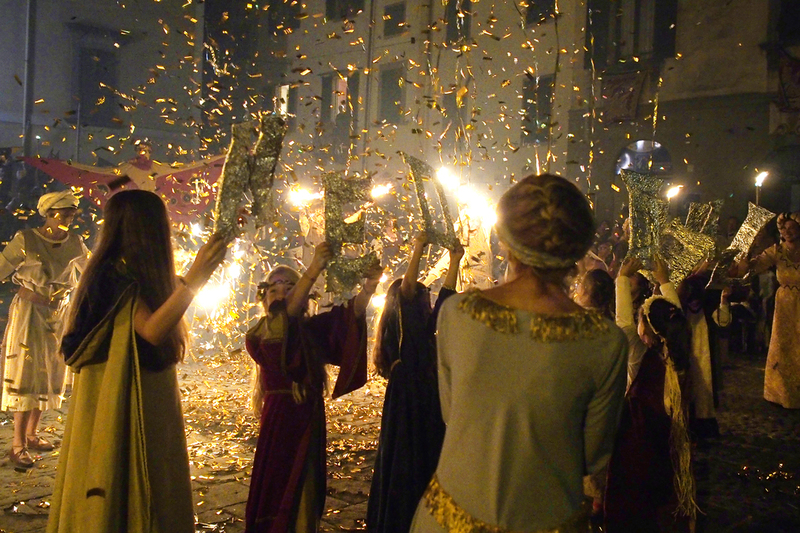 Many more are the protagonists of this pageant representing all medieval social classes: wayfarers, merchants, priests, noblemen, soldiers and farmers. Four days in which also the typical events of the period are re-enacted , with all the medieval vices and virtues: duels, falconry exhibitions, flag waving performances, archery feats, dancing and dinners with recipes and drinks today long forgotten. 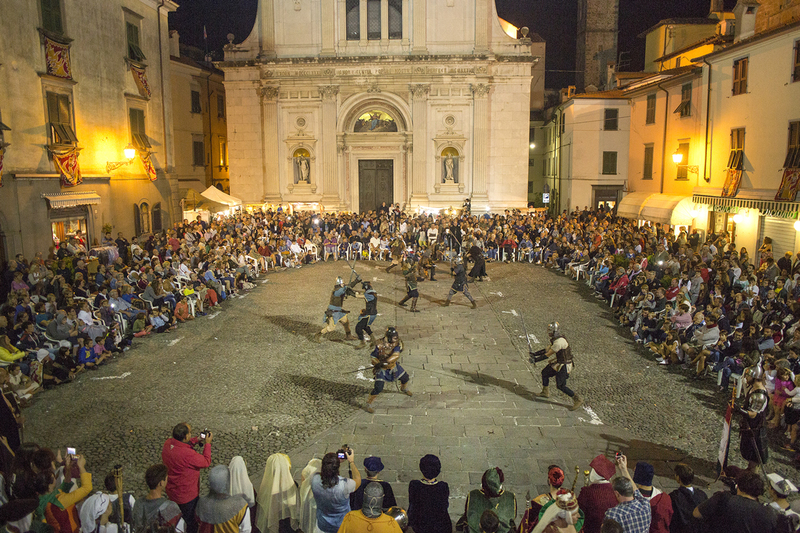 The town also hosts a challenge known as the “Disfida della Cortina di Cazzaguerra”, a tournament held by the three historic town factions: Sommoborgo, Immoborgo and Contado. The various challenges give rise to the warlike animosity of participants which only ends with the much coveted Palio ending up in the winning quarter’s hands. 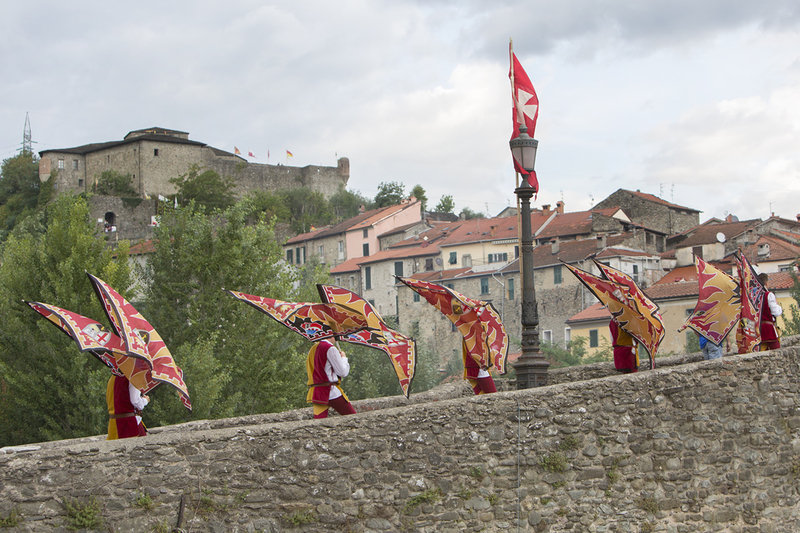 So if you’re travelling in this nook of Tuscany in August, exploring the unbeaten paths of Lunigiana, we highly recommend a visit to Pontremoli, not only for its beautiful town centre built along the river Magra and the Verde stream and for its unique museum, but also to get a bite of history during the Medievalis event. 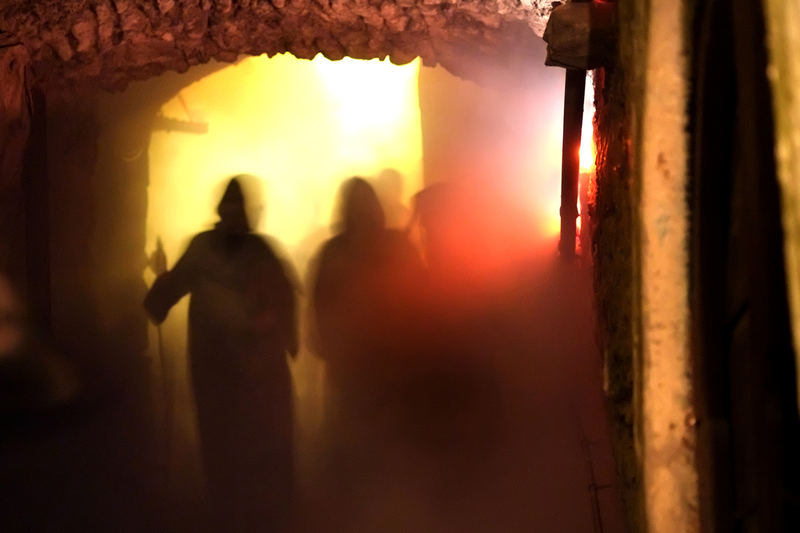 Questa voce è stata pubblicata in Events in Lunigiana, Events in Pontremoli, Folklore in Tuscany, Lunigiana, Pontremoli, Senza categoria, Tuscany e contrassegnata con accommodations in Tuscany, Disfida della Cortina di Cazzaguerra, Medievalis, Middle Ages, Palio. Contrassegna il permalink.